needs. Please select from our official claim forms and claim form envelopes below. 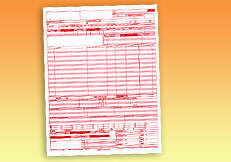 The most up-to-date 02/12 version of the CMS-1500 claim form that is ICD 10 ready. 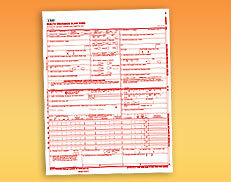 Single sheet claim forms suitable for either ink jet or laser printers. Forms are completely compliant with the Medicare specifications. The most up-to-date version of the UB-04 claim form that is NPI ready. 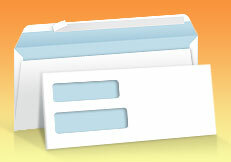 Single sheet forms suitable for either ink jet or laser printers. Forms are completely compliant with the Medicare specifications. 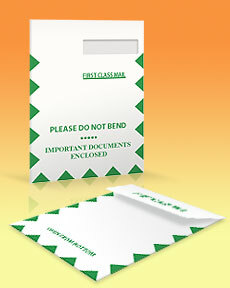 Please select from our two types of envelopes for use specifically with CMS-1500 insurance claim forms. Both feature Self Seal envelopes with no need for licking. These envelopes hold multiple claim forms without folding. The right window lines up with the insurance company address field on the CMS-1500 claim form. Perfect for use with single, folded CMS-1500 claim forms. The window lines up with the insurance company address field on the CMS-1500 form. These #10 sized envelopes with double window envelopes are the perfect match for the Patient Statements you create using the Speedy Ledger. The windows line up with the patients address field and the remit to address field on the patient statement. No need for licking these Self Seal envelopes!